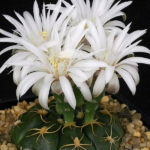 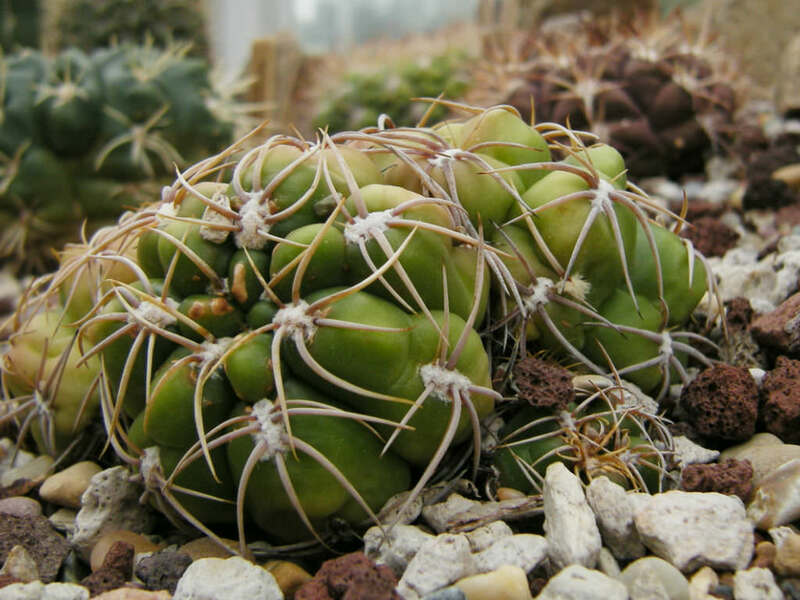 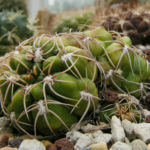 Gymnocalycium denudatum is a small globular, usually unbranched cactus with glossy dark green body, rounded ribs and nearly harmless spines flattened against body in shape of small, white spiders. 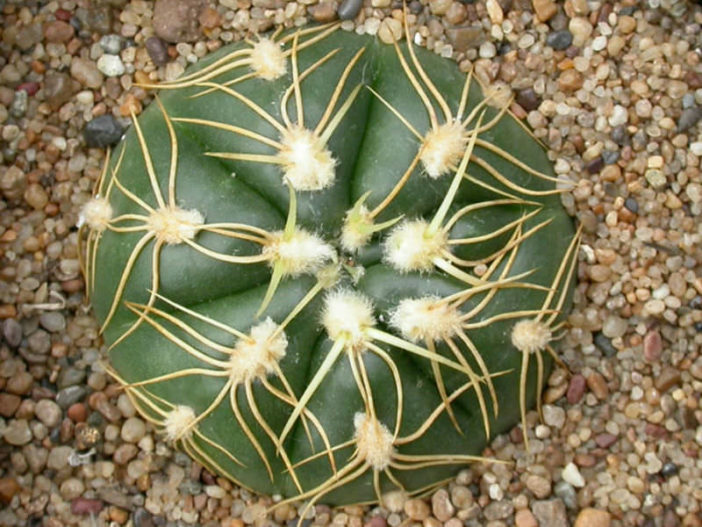 Grows up to 6 inches (15 cm) in diameter and up to 4 inches (10 cm) tall. 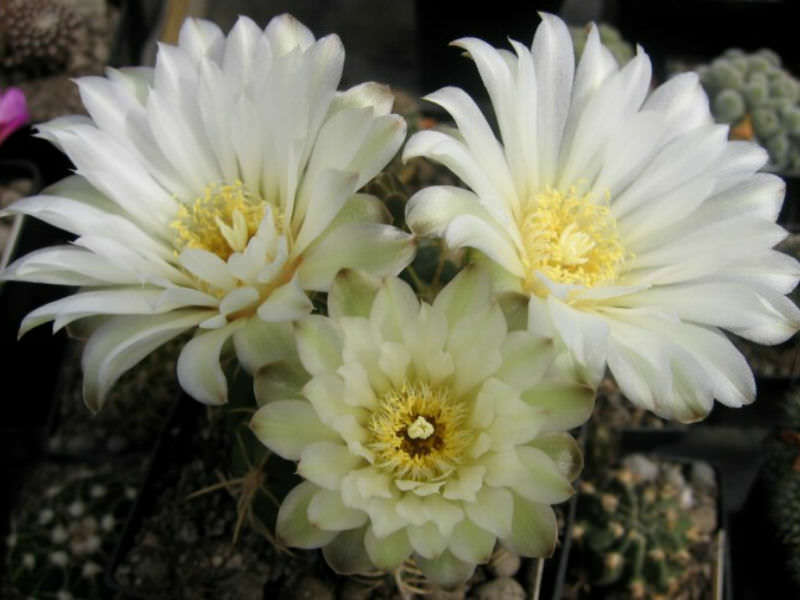 Flowers are large, cream white, up to 3 inches (7.5 cm) wide. 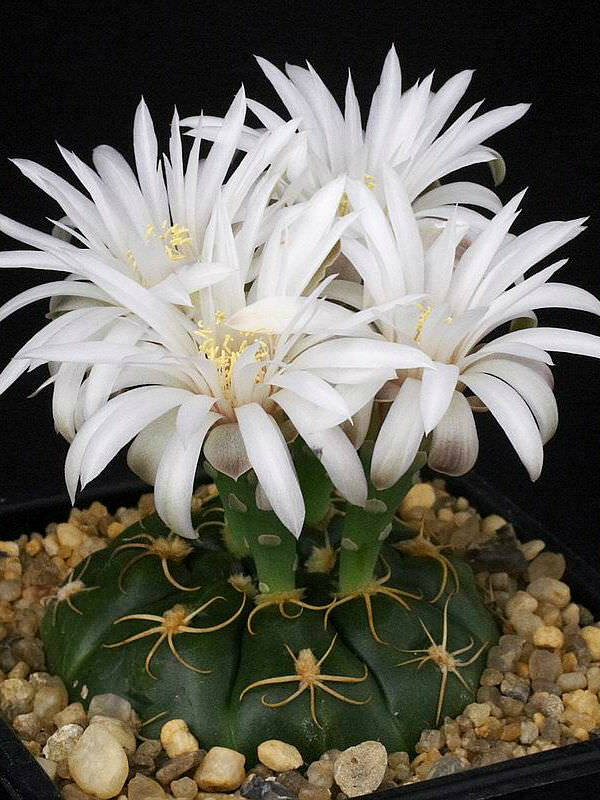 Blooms in spring and summer. 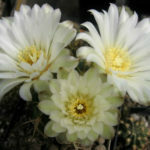 Native to Brazil (Rio Grande do Sul), Uruguay (Melo) and probably Paraguay.